If you would like more information about Plant Health Australia then please use the details provided below to contact us. Queries about specific pest or weed problems in a commercial crop and household garden matters are best forwarded to the relevant agriculture or environment department in your state or territory. Alternatively, commercial producers can contact the Exotic Plant Pest Hotline (1800 084 881) to report suspect exotic plant pests or visit the Farm Biosecurity website for on-farm information. 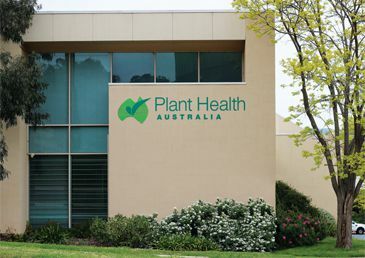 Plant Health Australia’s office is located in Canberra, Australia. Plant Health Australia Ltd is registered for the Goods and Services Tax (GST). Our Australian Business Number (ABN) is 97 092 607 997 and our Australian Company Number (ACN) is 092 607 997.